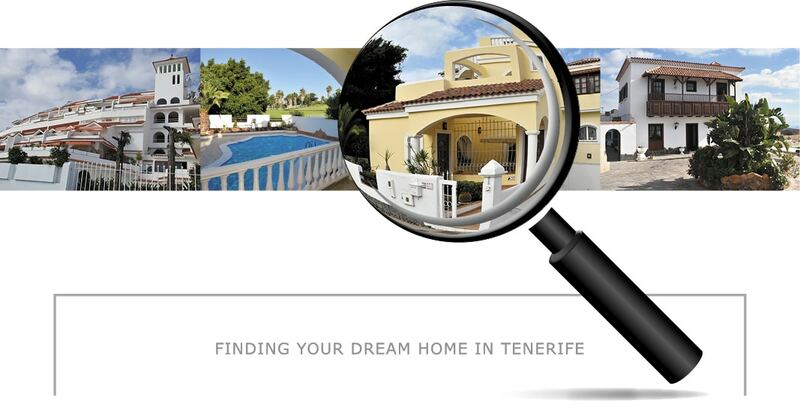 Preparing for your Viewing Visit - Tenerife Property Shop S.L. When you’re looking for your dream home in the sun, it can be really easy to get swept up by gorgeous looking properties bathed in sunshine on websites outside of your budget. It’s easy to get overwhelmed by all the exciting decisions you need to make when buying a property overseas you may want it to be close to the beach, or have a sea view, and then you need to decide whether you prefer an apartment on a complex or a villa? It is important to make a list of your search criteria! With the property likely to be some distance away and viewing visits taking up precious holiday time it is important to prepare as much in advance as possible. The most important thing to consider when buying a property is what exactly your budget is – the last thing you want is to fall in love with a property you can’t afford! Before you even begin to plan your visit, you need to spend some time getting your finances organised. Set aside some time to do this as you may miss something out if you rush. If you are a cash buyer, ensure the funds are in place or can be easily accessed. If these are coming from investments or pension release type products be sure to know the exact length of time it takes to release these funds. Completion on a property once you have found ‘the one’ normally takes 6-8 weeks and we help you every step of the way. You need to make sure your finance is organised, in order to put you in a strong buying position. Will you need a Spanish mortgage? If so, we have a mortgage pre-qualification form and can help point you in the right direction. Contact us for details and we will advise you. Knowing your options and defining your budget will put you in a stronger position when making an offer to a vendor. Are you considering re-mortgaging a property or taking out a loan? Get advice from your bank manager or finance advisor and if possible get a firm offer of loan in writing before your visit. You need to know what your loan/mortgage possibilities are. It is not enough that someone on the front counter tells you no problem we will loan you money. Give us as much notice as possible of your intended trip. This will give us time (with the information you provide) to research some suitable properties that tick all your boxes. Through discussions by phone or email we will prepare a shortlist of the correct and affordable properties for you to view. This will save you a lot of time looking at the wrong properties some agents will show you many properties that are not in your price range. We prefer to tailor make a list of suitable properties for you to view that are within your budget and price range. Allow yourselves at least a couple of mornings for viewings, as you may want to go back and look at something a second time to be sure. Hopefully we have been successful in finding you a property and after speaking with all parties and agreeing the purchase, a contract will be drawn up with your details and the vendors for all to sign. Upon the signing of this you will be required to pay a 10% deposit to secure the property so that we can remove it from the market. This will be required as soon as possible, usually within 7 working days, so you must make sure this part of the funding is readily available. This is all part of the service we provide and will take a few hours in a morning. To open a bank account we will need documents sending prior to your visit, usually a driving license or utility bill as proof of address and copy of your P60, tax return or letter from the DWP showing your NI number if you are receiving a pension. 5) Relax & Enjoy Your Holiday! If you have followed the steps correctly you can now spend some time enjoying the island, safe in the knowledge that when you next visit, it will be to collect your keys and walk through the front door of your own property in the sun (and not to be returning to begin your search again only to find the property you fell in love with had been sold in the time you had returned home to organise your finances! ).